Amsterdam, Netherlands – September 14th, 2018 – Witbe, the leader in Quality of Experience Monitoring, is proud to announce the release of its latest R&D technology, Witbe Datalab, at IBC in Amsterdam. Datalab is a unique web application, allowing anyone to create stunning visual reports from Witbe Robots’ key performance indicators (KPIs). This official European launch comes after winning Streaming Media’s “Best of NAB” award, and receiving positive feedback from a preview to industry conference attendees in Las Vegas last April. Since then, Datalab has been collecting data from thousands of devices connected to hundreds of Witbe Robots on the premises of several major operators and satisfied customers. Witbe will be showcasing this revolutionary technology from September 14th to 18th at IBC, the world’s most influential media, entertainment, and technology show. Witbe Datalab is a simple, yet revolutionary technology. It allows the creation of one’s own visual reports of the KPIs measured by Witbe Robots. 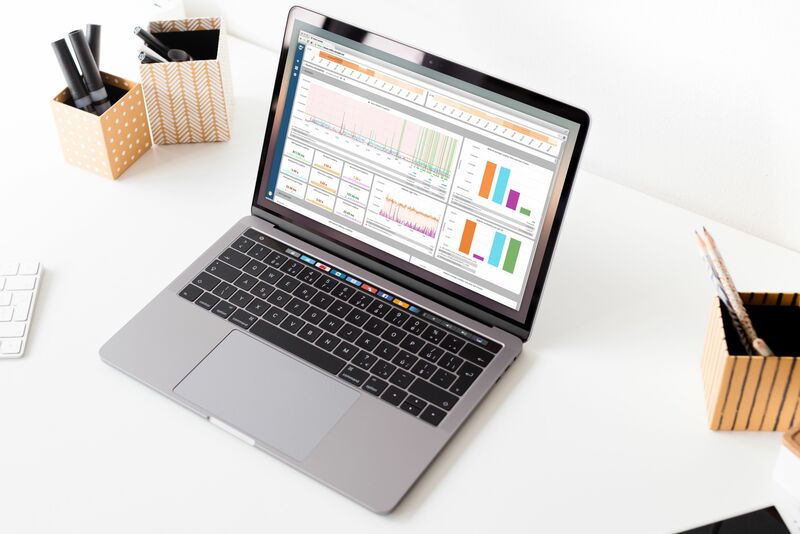 Datalab, a true drag and drop dashboard builder, features cutting edge filters capabilities and handles millions of QoE data points in the blink of an eye. Any KPIs can be compared and cross-referenced to unveil the root causes of any service degradation. Accessible from all browsers, this web app was designed to easily share full reports with other teams or executives through a simple, shareable URL. At the core of Witbe Datalab is a brand-new approach to KPIs. Every time a KPI is measured by Witbe Robots, any relative context is stored. Thanks to Datalab, a tier 1 provider was able to get a flexible and instantaneous display of KPIs such as menu average response time, TV channels audio, and video availability. Because of this underlying data structure, Datalab is also able to feature Witbe’s brand new Video Quality Incident Detector (VQ-ID) algorithm, available in Witbe Suite 6.2. Due to its native integration as a preset KPI in Datalab and by focusing on severe deterioration events (high blockiness, video upscaling, uniform screen, frozen image, no sound), this newly built-in VQ-ID algorithm is able to easily catch issues on video streams and quickly raise alerts 24/7, on every device connected to a Witbe Robot. Marie-Véronique Lacaze, Co-Founder, President & Chief Executive Officer of Witbe comments: “We carefully listen to our customers’ needs, and we decided to develop a unique technology to quickly share views of correlations between service and quality. We are proud to be giving our clients adequate technology to deliver the best Quality of Experience to their end-users for the video services they provide. The timing couldn’t be more perfect to get your hands-on our new Datalab, with our team on site at IBC. Come see us in hall 5 on booth A69 to see a live demonstration!”.